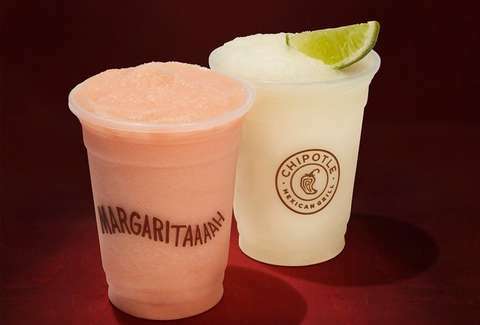 The country may be half-melted after this weekend's heatwave, but take heart knowing that when the next one hits, we'll have deeply discounted, ice-cold margs from Chipotle to cool us off and remind us that life is in fact worth living, even at 97-degrees. 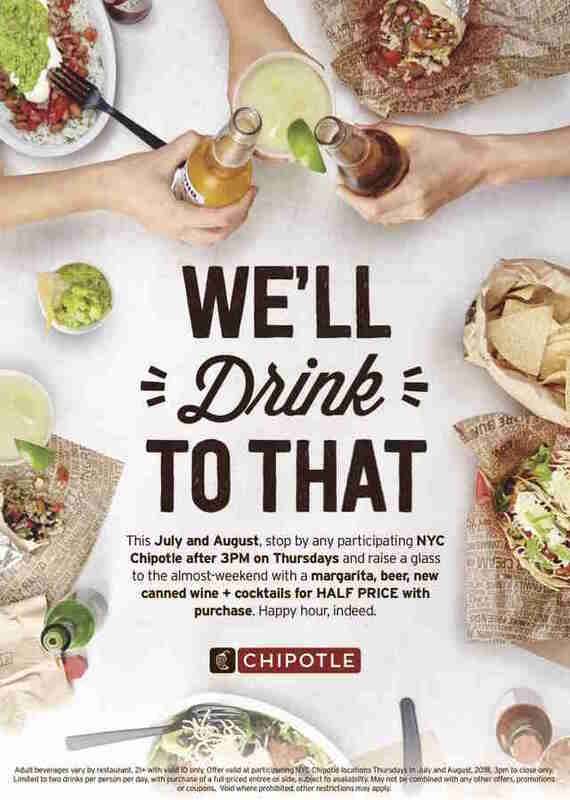 The deal will take place this July and August at Chipotles around New York City after 3pm on Thursdays. You'll get 50% off margaritas, beers, and (new) canned wines and cocktails when you purchase an entree or a side at full price. Fortunately, that side could just be chips and guac. Unfortunately, this only applies to Chipotles in New York and doesn't include locations that don't serve alcohol (for obvious reasons). It's not clear whether other cities will get happy hours similar to this one in the near future, but back in August and September of 2017, Chipotle had a similar deal in states like Colorado, New York, Arizona, and Florida, so it's not out of the question. This news comes on the heels of word that Chipotle is likely rolling out a $2 taco happy hour, that it's closing locations as it focuses more on delivery and drive-thrus, and that it's expanding testing new items for its menu like quesadillas, nachos, and milkshakes. We'll see if all that goodwill can change the public's mind about queso.